The XMC/PMC expansion allows to integrate 3 XMC or PMC modules. XMC and PMC cards can be mixed on the PIPXMC adapter card according your needs. 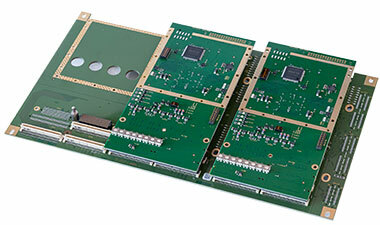 Any on the market available XMC and PMC mezzanine card (ADC/DAC, FPGA, Avionics XMC/PMC, Graphics, Network, ...) can be used and easily be integrated. The XMC/PMC adapter has been designed to withstand harsh environments and extreme temperature conditions. The combination of PIP and PIPPMC/PIPXMC is a complete, compact and clever system solution for harsh environment and mission critical applications. The added slots in a fanless, rugged, small packed PC like the PIP, offers new possibilities in defense, avionics, and railway projects.